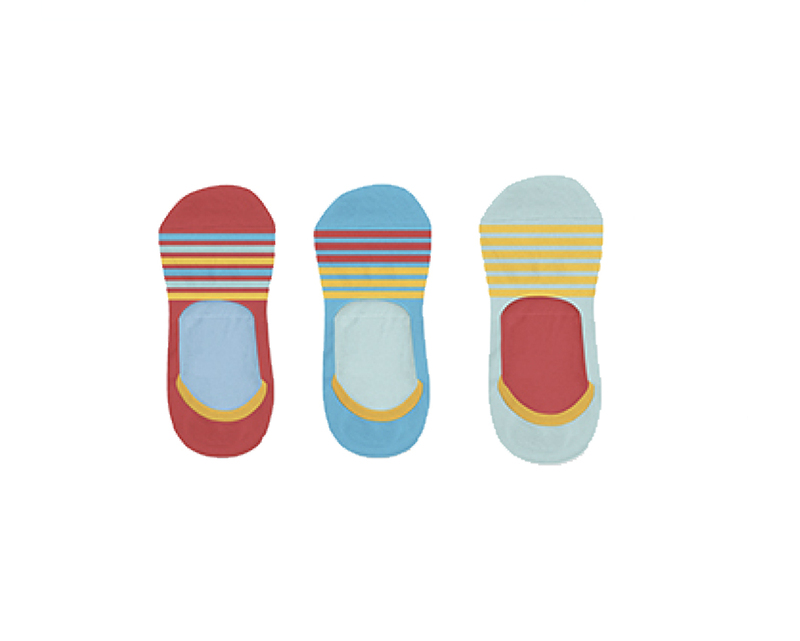 Our 3 pack of no show socks features three brightly coloured pairs with contrasting stripes. Designed to be worn with shoes cut below the ankle for those times when you don’t want to show off your socks (but you still want to quietly rock the coolest pair in the room). Features a silicon non-slip heel.